When you need a portable 12V power pack, this big holder will do the job! 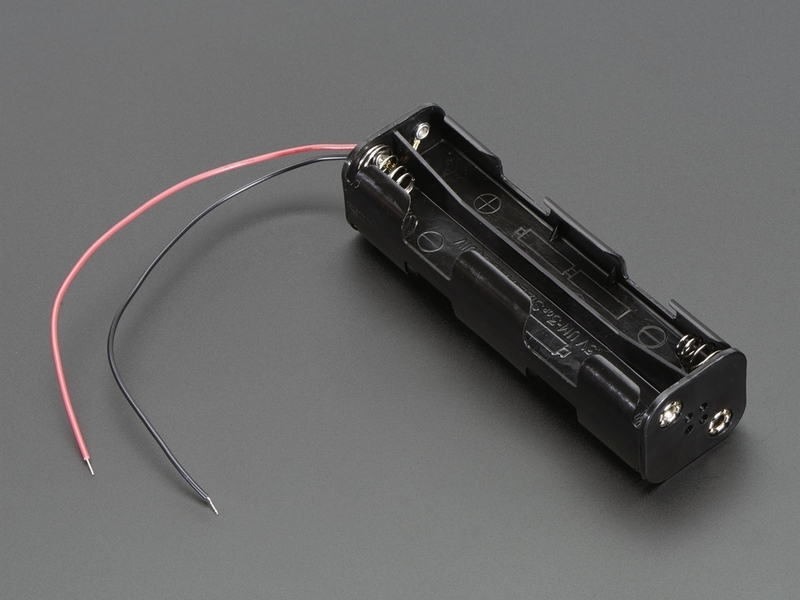 The holder will store 8 AA batteries end to end, to give approximately 12VDC output with up to 2 amp peak current draw. 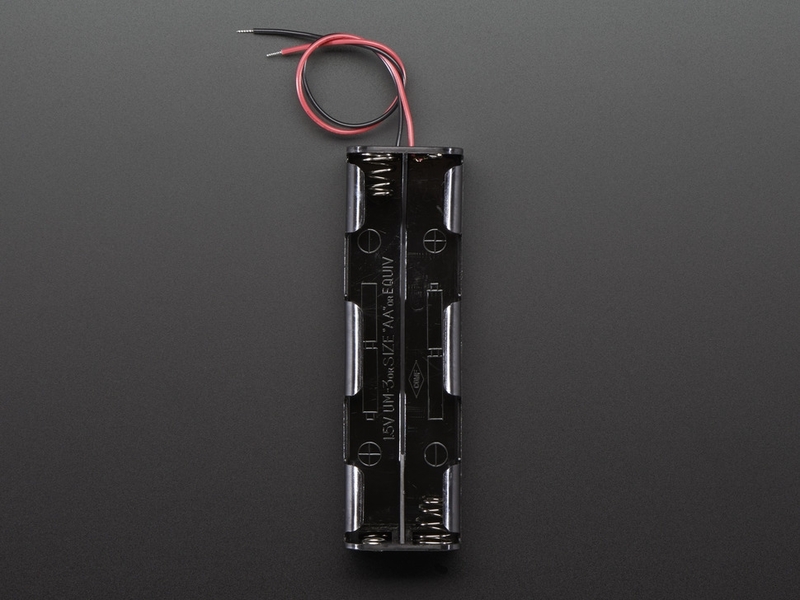 We like this configuration in particular because it holds the batteries securely, even if being bumped/moved around. 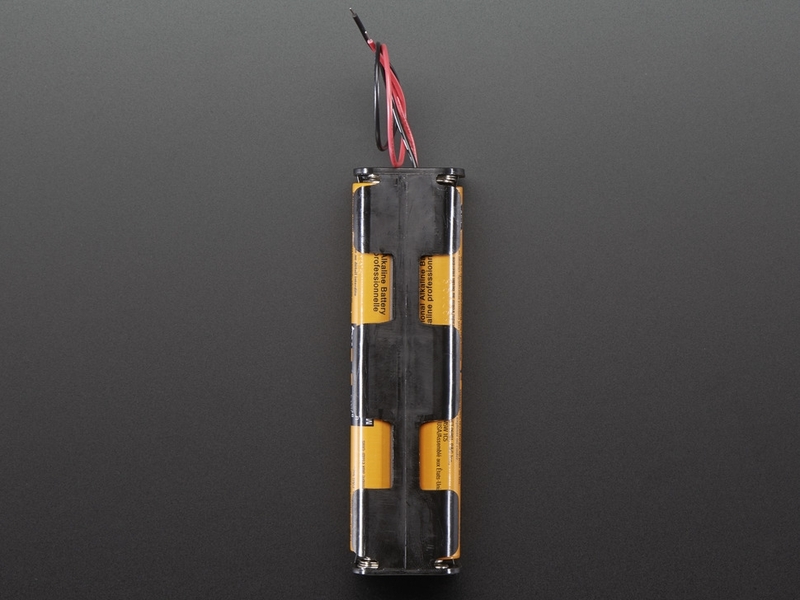 This would make a good power source for EL panels, 12V stepper motors (for a robot), or analog LED strip. 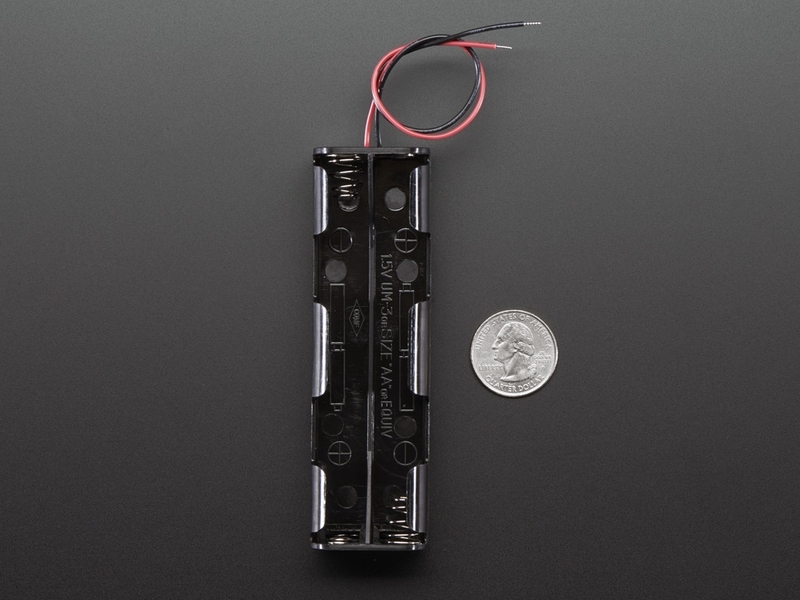 You may want to pick up a DC power plug adapter to connect onto the wires for easy plugging. 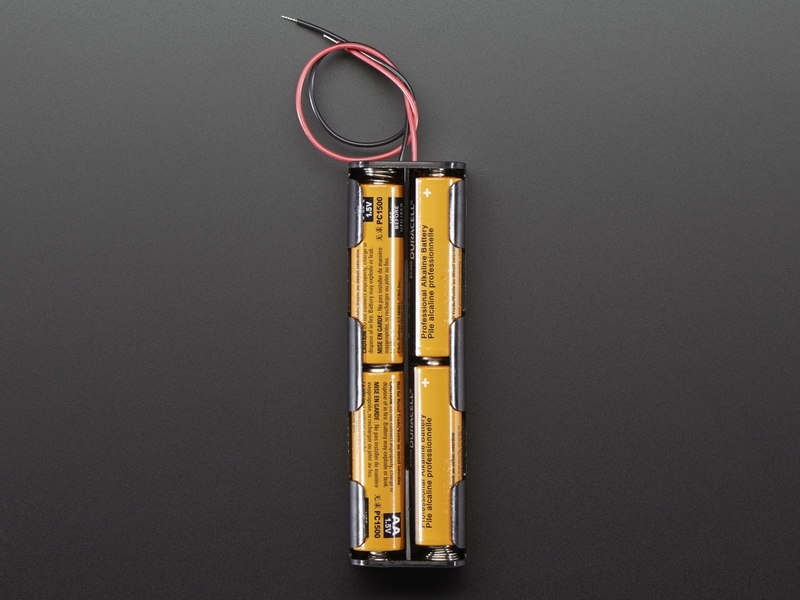 Batteries are not included, can be used with any AA-sized Alkaline or Rechargeable batteries.